A husband, wife, son, and daughter were found dead of an apparent murder-suicide on Friday, Jan. 5, in a Los Angeles County home, according to CBS Los Angeles. 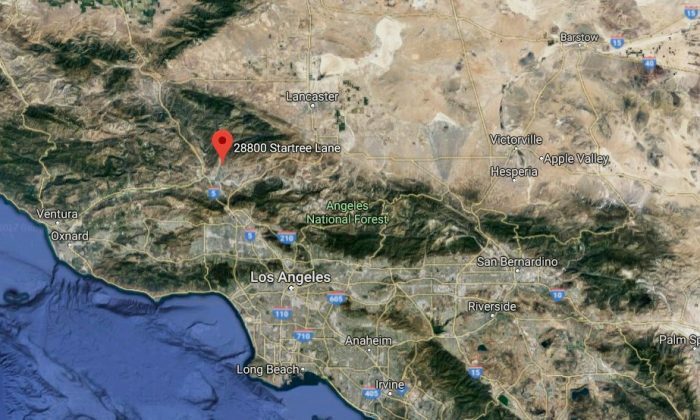 Officials said they were found at 7 a.m. in Santa Clarita at a house in the 28800 block of Startree Lane. They found the bodies after a request to perform a welfare check, officials said. Four victims were found dead of gunshot wounds. Neighbors said that a daycare center was operated at the residence for many years. Officials told the SCV Signal that the husband shot his wife and two kids then shot himself. A gun was recovered at the scene. “We do believe it was a murder-suicide based on the physical evidence at the scene,” said Lt. Rodney Moore of the Los Angeles County Sheriff’s Department’s Homicide Bureau. They were not sure how long the bodies were there. The husband looked to be approximately 50 to 55 years old, and wife was about 40 to 50 years old, Moore said. Officials called on people to avoid the area due to an ongoing investigation. The Los Angeles Times described the scene, saying the alleged slayings took place in an upscale subdivision in the hills above Copper Hill Drive. It reported that there were a large number of deputies on the scene. No additional information was released by authorities. Footage shot by KTLA and ABC7 showed investigators on the scene of a single-family home. Police tape appeared around the house. ABC7 noted that those with any information can call the Los Angeles County Sheriff’s Department Homicide Bureau at (323) 890-5500. People can also call “Crime Stoppers” by calling (800) 222-TIPS.